It would be an understatement for me say I can’t wait for Spring, and the warm weather it will bring. We had plans last year of taking some of our yard and using it for growing some staple veggies (tomatoes, red peppers, beans, etc…). Needless to say, we were thwarted in our attempts. And, as I spent last March and April observing the changing of the seasons from my hospital room, I couldn’t help wondering about the year to come. 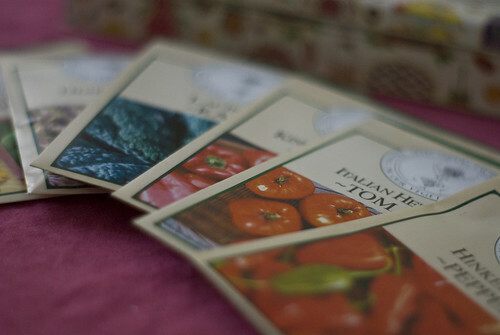 Well, Spring is around the corner and I’m plowing ahead with last year’s plans to start some seeds indoors and get some homegrown goodness to enjoy this Summer. It might be a tad bit early to be starting some of these plants indoors (given that the danger of frost doesn’t end until mid May). But, I’m starting them anyway… well, at least some tomatoes, red peppers and some hot peppers. Perhaps I will start some more in a couple of weeks and stagger them in the hopes of staggered yields come July and August. We shall see. I’m no farmer, but it sure is fun to think about dirt and sunshine and fresh food growing. So what if I’m a little early? Never to early to let a little spring and sunshine into one’s life! You’re giving me spring fever, Dan, just seeing those little pots of soil and seeds. From what I’ve heard, tomatoes take forever to grow, so come May you’ll probably be really happy that you started this early. I’m glad for you that you can experience spring this year at home and not in the hospital. Yea! 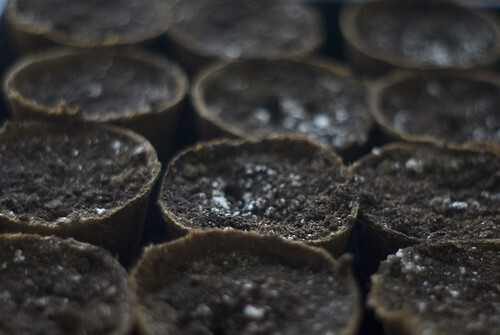 The seeds came from Seed Savers Exchange, an organization dedicated to preserving and sharing heirloom seeds. I only wish I had more space to grow stuff, because they have so much.